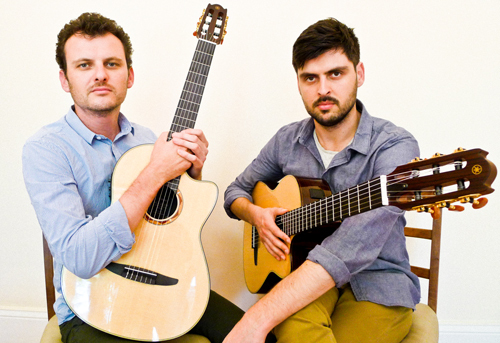 Although regarded as Australia’s finest guitar duo performing much of the instrument’s standard classical repertoire, the Grigoryan Brothers’ passion is to expand their horizons through new arrangements, their own compositions and commissions. This ambition can be heard as the brothers take the guitar into genres such as jazz, folk and contemporary music. There are no boundaries, only new frontiers to cross. In concert, mix it all together and you have a dimension to guitar-playing rarely seen in the musical world. When not on stage they are in the studio, having released six duo albums, four of which have been nominated for ARIA awards (Australia’s prestigious music awards). The brothers have also performed with symphony orchestras and at international festivals in Australia and Europe. Slava continues in his position as Artistic Director of the Adelaide International Guitar Festival, a position he has held since 2010.